And one driver in Richmond learned the hard way that no matter how much of a rush you’re in, snow needs to be cleared from your vehicle before you can drive it. Richmond RCMP tweeted a picture of the ticket and the vehicle in question. “For safety’s sake, please take a few moments and clear all of your windows of snow,” they wrote. 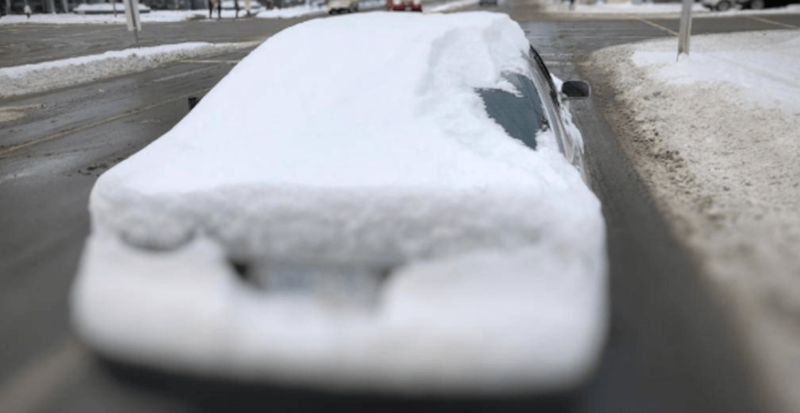 Beyond the basic safety risk, failing to properly clear all snow from all the windows of your car can result in a $109 fine under the Motor Vehicle Act – much like the one seen in this picture. The next round of snowfall is forecasted to arrive on Monday evening and will continue over into Tuesday morning, with up to 15 cm expected in the Lower Mainland. Keep that snow brush nearby for the next little while and remember to clear your whole vehicle before heading out on the roads.